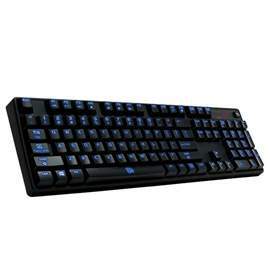 The POSEIDON Z RGB Gaming Keyboard (Brown Switch Edition) –POSEIDON Z RGB is a simple yet astonishing spectrum keyboard; it offers extreme customization options for users to play with, energizing you with the colors to take gaming style to the next level with experiencing the colorful of life. With the layering concept, our basic customizable backlighting has been evolved for extreme customization. With the sleek POSEIDON Z design, the POSEIDON Z RGB gives a spectrum of visual effects featuring 16.8 million colors, not just with an impressive spectrum of colors but with customized lighting controls too! The new POSEIDON Z RGB provided users the easiest way to tune and most importantly, it colors up your life!